Optimize your instruction in a one-on-one lesson or get a group of friends and family together to enjoy learning inline skating, together. Learn how to maintain the physical components of your skates. Topics include general cleaning and wheel and bearing maintenance. Learn to take your swizzles to the next level. Work on cross-over swizzles through cones both forward and backward (optional). Also, Learn to skate through cones on one skate. Benefits skaters crossover and edge management capabilities. Hill Management applies slowing and stopping skills introduced in our OSB series and trail skate 1. 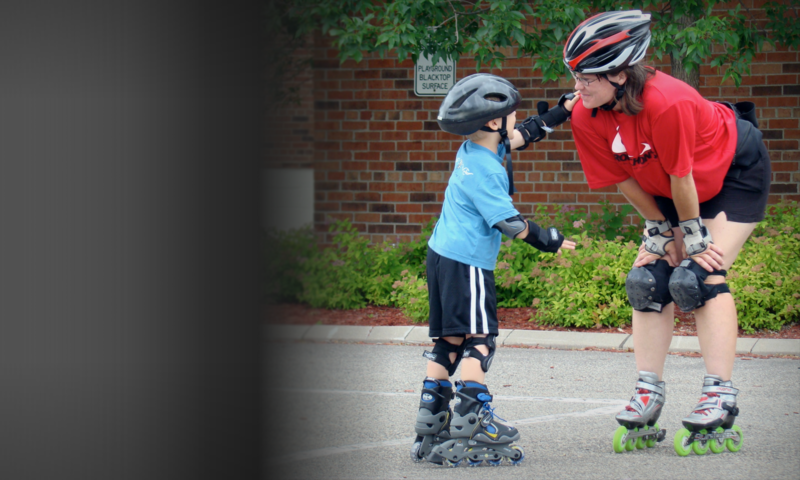 Our professional outdoor skate instructors will guide you up and down hills until you feel safe conquering the hills on your own. Learn how to maximize your skating stride while building your endurance on Minnesota’s fine trail system. Pacelines are introduced. Length of skate correlates with skater fitness level. learn braking techniques using skill and wheels rather than your brake. In totally turns we focus on developing turning ability. We focus on Y-frame turns and parallel turns (ski style turns). The benefit of developing turning ability is to increase maneuverability which in turn increases safety and fun on inline skates.